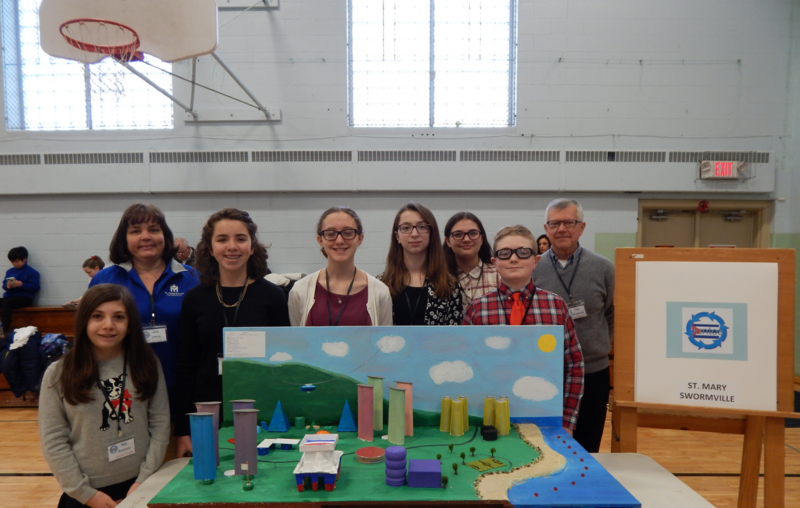 The winning Mill Middle School Future Cities team is comprised of, from left, Ada Bastedo, team mentor Julie Leong, Mia Gilham, Mary Quinn, Jioia D’Andrea Mucciarelli, Maryanna Daigler, David Hatcher, and team engineer Paul Kluczynski. It also includes Alex Kania and Lauren Zwirecki, who are not pictured. A team of students from Mill Middle School in the Williamsville District will head to Washington, D.C., next month to compete in the national DiscoverE’s Future City Competition finals. The team won a regional competition earlier this month at Mount St. Mary’s Academy by designing a place called Itzamna City. The winning team was one of three from the school. Teams from Transit Middle School and St. Mary’s Academy placed second and third in the competition, which included 29 entries. Winning team members included Elizabeth Glozman, Nathan Allen and Sienna Abeler, who will go to the nation’s capitol with their teacher, Randall Gammiero, and mentor Ron Walden, of CME Associates. The nonprofit educational effort asks middle-school students from around the country to imagine, design and build cities of the future. Each team creates large tabletop city models to present and defend before judges. More than 40,000 students in 1,500 schools have participated in the competition, which is designed to demonstrate to participating students how engineering has a direct influence on their lives, and why math and science are relevant to their world. Future Cities were constructed from recycled materials and built for less than $100.